In Bucharest, there is everything for full-value rest. There are beautiful parks, gardens, and lively shopping centers. Picturesque markets, cinemas, and modern nightclubs along with many attractive restaurants. Romania is taking huge steps in an attempt to attract a huge number of tourists and that is exactly what they are achieving with much success recently. What is that makes this city so appealing to everyone's taste? 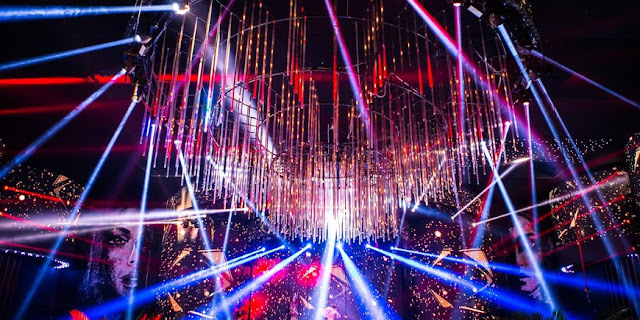 Nightlife fans are not going to get bored, in fact, so many bachelor crews arrive for Bucharest bachelor adventure that this city has become one of the best places in Europe to do so. SkyBar and Nomad are just some of the most famous club that got international recognition. There are thematic evenings every week. Often, the clubs are visited by famous musicians and DJs. Those who want to rest in a quieter environment will find the Interbelic club as a perfect choice. Modern music is everywhere, with comfortable rooms filled with soft furniture, large selections for snacks and a hospitable atmosphere is what paints the picture of nightlife in this city the best. In Bucharest, there are also many places for lovers of gambling. 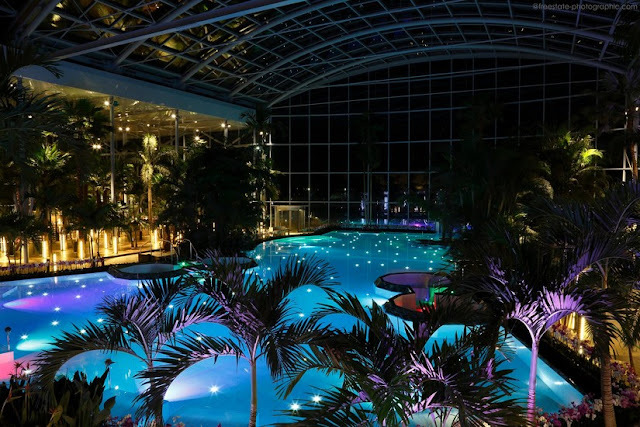 At Casino Palace, it is possible to play roulette, classic board games or try your luck playing slot machines. Fans of sports will be happy to visit Gerastrau Park, which is distinguished by a beautiful decoration of the landscape. The park is perfectly suited for sports and outdoor entertainment. They offer cycling tracks, tennis courts and some playgrounds for children. In a few steps of the park stands the Plaza de Ferias where tourists can choose interesting souvenirs and gifts. Those who cannot imagine traveling without strolling through the shops, however, should visit the Bucharest Mall. Hundreds of boutiques and pavilions offer their visitors different items, such as fashion dresses, extravagant accessories, domestic techniques and toys. 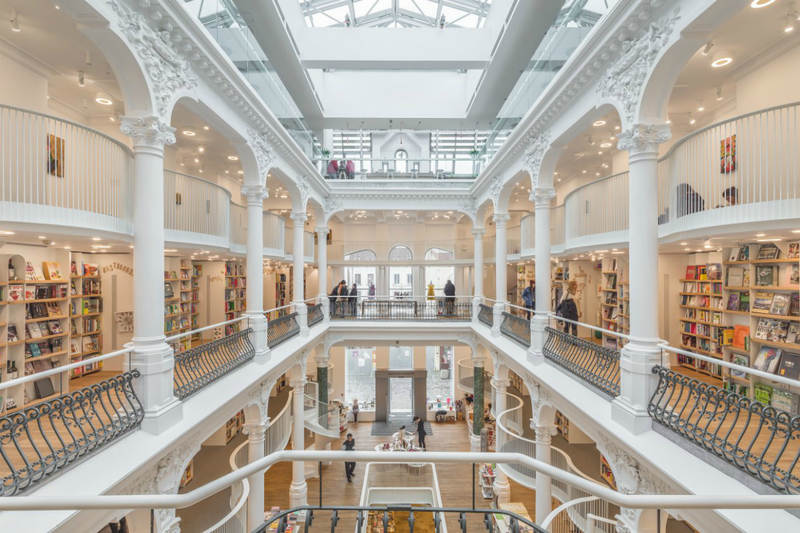 One of the best bookstores in Bucharest is Humanitas bookstore. In this shop, you can always find bright novelties of modern literature along with favorite literary works of authors with world fame. The Antiques Shops are interesting for their antique paintings, unusual decorations for home and articles carved of precious stones. Some of these things were created by artisans as far as a few centuries ago. In Bucharest, there is also entertainment for those who prefer mind games and want to try their ingenuity. Therefore, to do this, you can try escape missions like TROLL, The Void, Captive or Escape Arena. These centers are considered the best for both an experience with games of this type and to enjoy something new that you don't have back home. Another good way to entertain yourself is to play a treasure hunt. In the capital of Romania, this leisure option is represented by a game with the name of CityHunt Bucuresti. Those who wish to gain experience in virtual reality games should pay attention to entertainment centers such as Gateway Virtual Reality Studio, VR GameLab or VR Gaming Romania. The city is also ready to please laser tag enthusiasts who will surely appreciate Laser Megazone and LaserMaxx. And travelers who wish to try their luck in karting will not be unsatisfied if they are going to conquer "Karting", a center with a very simple name but with many interesting things. One of them is, of course, the surge of the extreme hormone that speeds up the heart rate as you try to take the lead. Another good place to enjoy this hobby is Amckart Tunari. If you are a golf person, then great news for you. To practice the sport loved by the aristocrats, you can go to GolfRoom or Golf Planet to enjoy this type of recreation to the fullest. Another type of fun hobby that loads you with an unprecedented amount of positive energy would be a visit to the Bubble Games entertainment center, which offers the possibility of playing bubble football. You can be sure that both children and adults will like it. The Romanian capital has many entertainment centers designed specifically for families. One of these places is Joy Club, where every visitor of any age group is free to do what they want. Symbol and Funland are considered excellent places to spend a great time with a bigger family. If there is a desire to try rock climbing, you should not ignore the centers like NoGravity Club or Fabrica de Cataract. But if people want to swim, the Romanian capital has prepared Divertiland Water Park and Urban Pool especially for them. Other centers where children have a lot of fun are House of Bounce, Divertiland Playland (for children 3 to 6 years old), and Creative Board Gaming (for slightly older children). In addition, young visitors of any age group will definitely be delighted to explore the theme parks located here in the Romanian capital. We are talking about centers like Oraselul Copiilor, Terra Park, Parcul Tei. To enjoy ice skating, contact Cotroceni on Ice, where both children and their parents can find entertainment. Those who prefer mystical places will definitely have something to do in Bucharest. More precisely, in its neighborhood. One of these places wrapped in mystery is called the witches' pond. It is located in the Boldu-Creteasca forest, near the capital of Romania. It's interesting that here there are no living creatures, no frogs or birds, and all the animals are kept away from this place. Another rarity is that the temperature of the water never changes in summer or winter. Just as you arrive there you will instantly figure out why It's not surprising that there are so many legends related to this place. There are many other remarkable places that are definitely worth visiting in Bucharest for unforgettable fun. For example, the Cărtureşti Carousel library. Doesn't sound so fun, right? However, you must go there to feel the atmosphere that creates the illusion that you are not in a mall but on a merry-go-round. You just have to witness that! 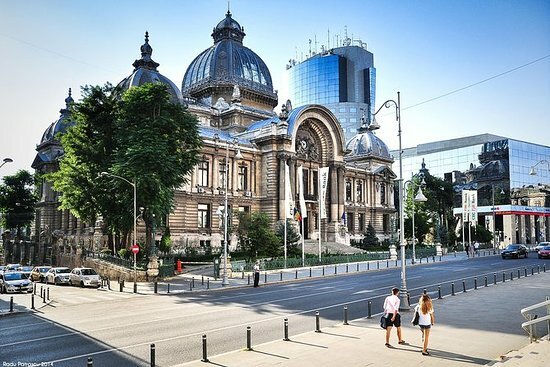 Also,do not miss the opportunity to visit unique museums in the Romanian capital. For example, as Muzeul National to Satului 'Dimitrie Gusti', Palatul Cotroceni and Muzeul Militar. Art connoisseurs will appreciate institutions such as Rotenberg-Uzunov, Theodor Pallady Museum and Codrin's Gallery.